From intimate groups to large private parties, we can orchestrate events where we bring you our signature dishes, international wine list and signature cocktails. Awadh, once a princely state, is among the most ancient of Hindu regions. The enchanting history of this land of the Nawabs, kings known for their refined and extravagant lifestyles, is recognized through the richness of its cuisine. Here at Awadh, we bring you these bold flavors that balance elements of spice, intensity and acidity. 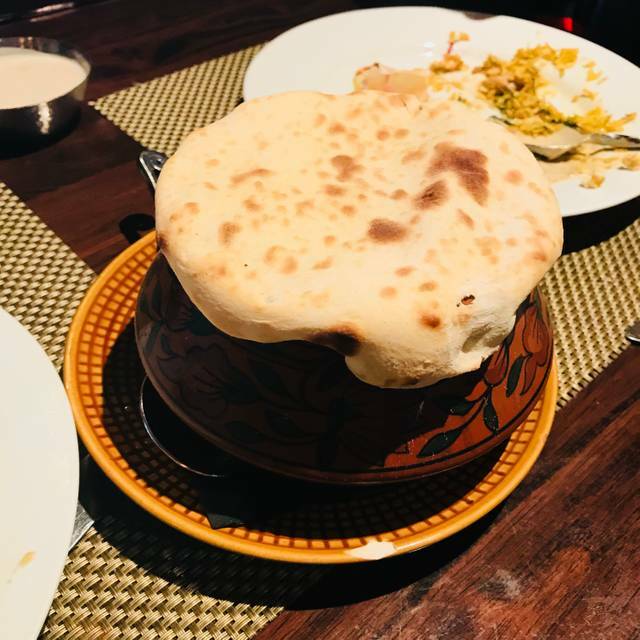 Awadh is Gaurav Anand’s latest endeavor, following Bhatti Indian Grill (Murray Hill) and Moti Mahal Delux (Upper East Side). With Awadh, we present a culmination of culinary finesse of the finest food from India’s sacred and historic land. We hope to create experiences and memories through flavors as you explore meats, vegetables, seafood, kebabs, curries and breads that will leave a lasting impression on your palate. Tight space, but truly some of the best Indian food you will find anywhere. Period. Loved this restaurant, a new fave on the Upper West Side. As always... amazing. I took 4 friends who were somewhat skeptical about my rave reviews and to a person they were blown away. I have to say that while the entrees are excellent it is the appetizers as usual that were sublime. I once went and did appetizers only and was not disappointed. The amazing thing about every dish are the subtle flavors that quietly make them selves know to you with each new bite. 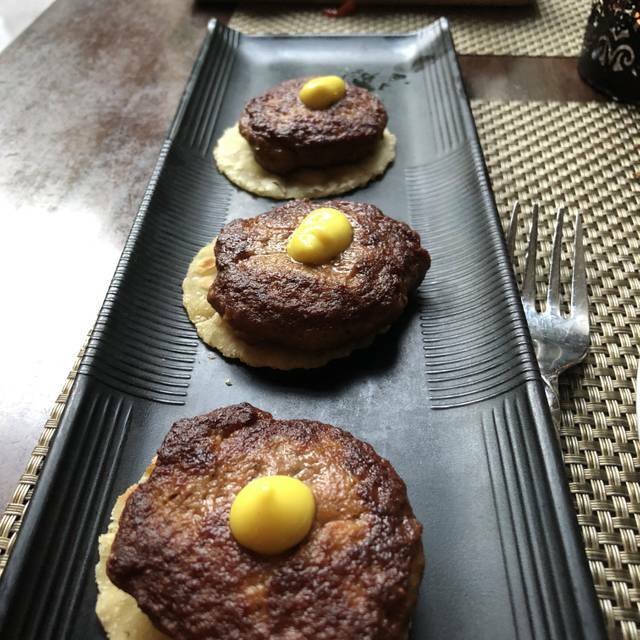 I never thought an Indian restaurant would start to climb to my Top Ten list in NY but Awadh slowly has. I'll be back. My food was good but my husband’s was not. Worse naan i have ever eaten. You feel smoke from the kitchen in your eyes. Waiter was like a zombie- not really listening. This restaurant came highly recommended , so we were surprised when the lamb was tough and the chicken over-salted. The mushroom dish was very good. Food is delicious. Wait staff is attentive. An upscale Indian restaurant on Broadway btwn 97/8. Definitely better food than the usual Upper West Side Indian place. Rich sauces, well seasoned, good variety. Service professional for the most part. The space is a bit small. On weekends the upstairs may be open - a place with more elbow room. We've been there often and plan to go again soon. A great find, thanks to other reviewers. The food is excellent and, this is rare among Indian restaurants in NYC, differently spiced. We really enjoyed the subtly new tastes. The space downstairs is small and, while it doesn't feel crowded, there can be a problem with noise level. Food is great and the room on second floor is very nice. But without special help you are sitting on the ground floor which is unpleasant. We very much enjoyed our dinner at Awadh. Appetizers are especially interesting and I recommend focusing of them when you choose your dinner. We were given a complimentary dessert which was very gracious. Just wish they had a more interesting beer selection! Wine was good. Delicious food, reasonably priced, polite service, pleasant atmosphere. Excellent food, great ambience - good portion size. Good service. Highly recommend for a go-to delicious traditional Indian spot on the UWS. Excellent, authentic Indian food. Great service. The staff is amazing! One of my favorite Indian restaurants in NYC. I was very pleased with the variety of the menu, and the quality of the food. The service was very attentive, allowing us to sit and talk-never rushing us one bit. The "warm" towels were a delight. My only negative comment is that there were wines and beers listed that were not available. refined service and delicious food nicely presented with a good wines by the glass list. Simply delicious Indian food with dishes I've not seen elsewhere. Add to that a cozy, modern space and a gracious owner, and you'll understand why we've become regulars at Awadh. SUPER romantic spot, and we had a sommelier that was incredible with his suggestions - our meal was fantastic! Definitely a 'do-over'. Awadh is a favorite. Possibly the best Indian food in NYC, certainly among the best. Attractive room, fairly quiet, attentive service, good wines for Indian food. The fried okra is amazing. Every dish is distinctive in flavor. While not cheap, the dishes are rich so we find a couple of appetizers and a main are good for 2. We brought friends who like Indian food to Awadh and they agreed that this is an unusually good restaurant. The restaurant was quiet enough for us to chat. In many visits here we have never been disappointed. Food is fabulous. Each dish has it's own flavors and all cooked beautifully. The care from the staff was fabulous, making us dishes not on the menu and adjusting size of portions of appetizers so that easily shared. The food and service are very nice. The noise level is very high to the point that I found myself asking my friends to constantly repeat what they had said. In addition, the manager or Maitre d' on that evening was yelling and berating the staff in a very unpleasant way - adding unneeded noise to the already excessive din. Service was slow and not personal at all. Wine was warm. Food was like warm and plates were cold. Really not impressed. This is a most elegant Indian restaurant. The food is delicious. This is my second visit. I will be back again soon. Excellent Indian cuisine! Highly recommend! It has a cool, but simple decor. We were seated on the second floor and still had excellent service. The dishes are excellent for sharing, but not too large that you cannot easily sample a range of the menu. The cocktails are creative and well match the flavors of the dishes. Fabulous evening at a beautiful table upstairs for my dads bday. Fabulous food. Great service. Order the prawns! The food was clearly above the usual Indian restaurant. Prompt service and very tasty. I will return. We've finally found an Indian restaurant on the Upper West Side that worth dining at ... it's terrific as a matter of fact. A quite nice and unique dinner. Interesting flavors. Big entree portions versus small , but adequate, appetizer portions. Overall, the experience for my 15 year old birthday dinner of 8 people was good. They were very attentive to food allergies until they brought out birthday ice cream in pistachio flavor for my 15 year old who is deathly allergic to all nuts. We did not order any dessert because of all the allergens and understand they wanted to acknowledge her birthday unsolicited. Their wine list needs to be updated as every bottle of red we chose from drink menu was not available in the listed year, but the cost was the same, which is highly unlikely. The food was fresh and tasty. We will still go many times. As always the food is spectacular. The subtleness of the spices and dishes never ceases to please. I went with a friend and we agreed to just have appetizers since they are so creative we had 5 or 6 and I don't remember a more enjoyable meal in recent memory. Planning a trip back for the lobster and to try the chicken korma. Honestly if I could eat every night I would. My husband and I and another couple just enjoyed a lovely evening here. We had a table upstairs, which I recommend if you want a quieter atmosphere. The service was excellent; attentive and knowledgeable but not overbearing. But the high point was the food, which was absolutely delicious. Other than the rice being slightly overcooked, all of it was extremely tasty and served piping hot. We ordered all vegetarian and fish dishes and shared them among the four of us. I highly recommend Awadh and will be delighted to return. Generally typical Indian menu executed quite well. Comfortable and attractive surroundings. Good table spacing and reasonably subdued noise level (nice for seniors). Service was attentive and accommodating.